Secular Pro-Life Perspectives: Even third trimester abortions are done for non-medical reasons. Even third trimester abortions are done for non-medical reasons. We've written before (part 1, part 2) about how most late-term abortions are elective, i.e. performed for non-medical reasons (maternal or fetal). The data we've been able to find looks at abortions after the first trimester but doesn't get specific about third trimester abortions. It may not even be possible to find quantifiable data on the reasons women abort in the third trimester* because such abortions are relatively rare and highly stigmatized. The third trimester begins at 27 weeks gestation. 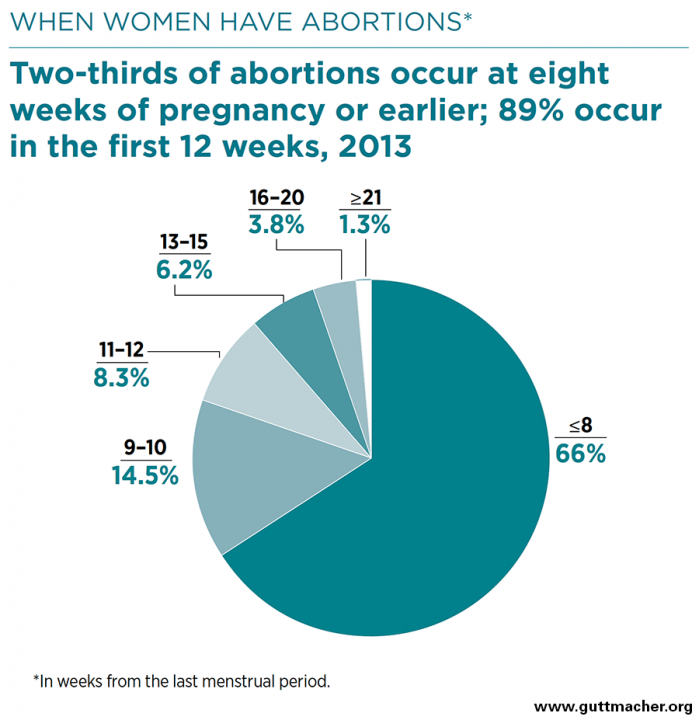 Abortions after even 21 weeks of pregnancy account for only 1.3% of all abortions. Conservative estimates put the total number of abortions in the United States at hundreds of thousands a year. In 2014 the CDC had reports accounting for 652,639 abortions, and not all states report their abortion data to the CDC. Even this lower estimate would mean at least 8,400 abortions after 21 weeks. Still, that's a small sample set from a very discreet group, and the number will be even smaller for only those abortions after 27 weeks. Third trimester abortions are rare enough that there are only four doctors left in the country who perform them in clinics (as opposed to getting one in a hospital). Those doctors are Dr. Susan Robinson and Dr. Shelley Sella, both of Albuquerque, New Mexico; Dr. Warren Hern of Boulder, Colorado; and Dr. Leroy Carhart of Bethesda, Maryland. In various interviews, at least three of these four doctors have gone on record explaining that they provide abortions for non-medical reasons. *If you have quantifiable data on the reasons for third trimester abortions, please email us at info@secularprolife.org.